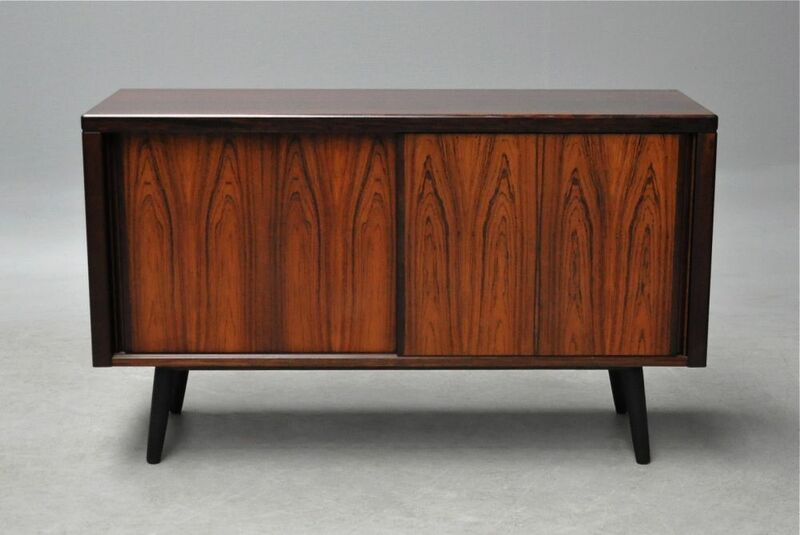 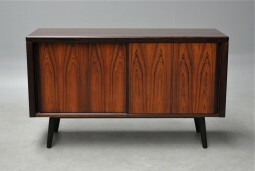 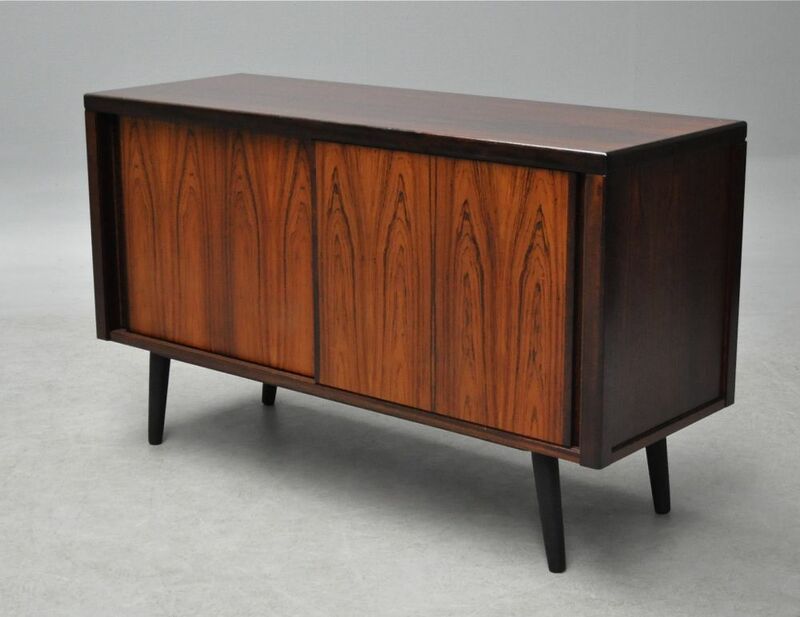 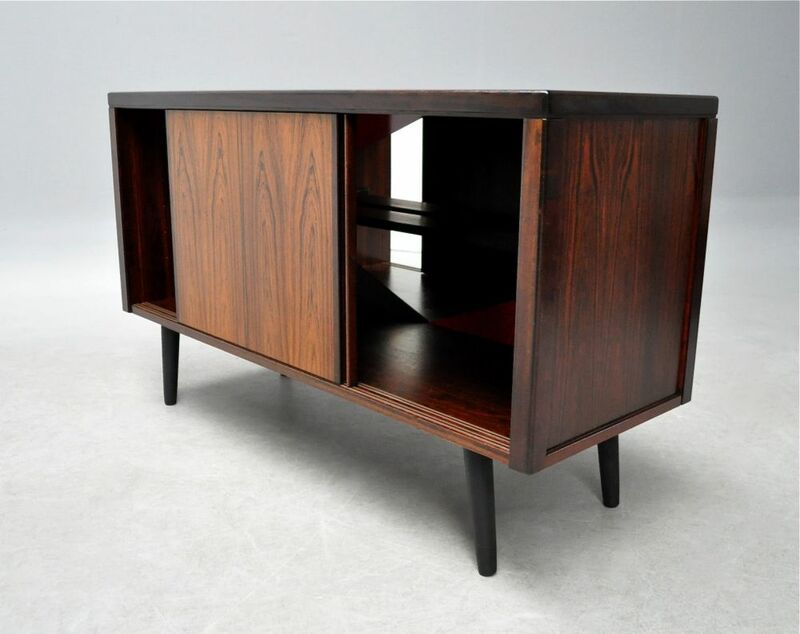 A small Danish rosewood sideboard. 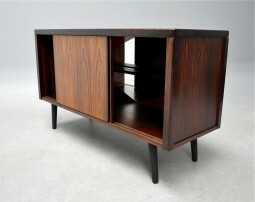 It is beautifully made and in very good condition. Inside it has a shaped half shelf and a harlequin design mirrored back. 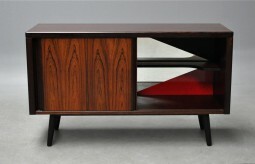 The back is as finished as the front, so could stand in the room as a divider. 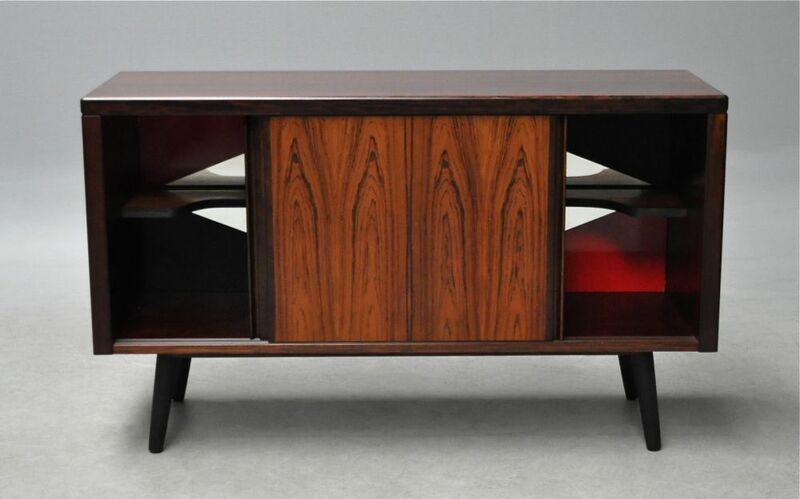 127 cm wide, 46 cm deep and 76 cm high.